This Sikh community in the middle of Reading was looking to relocate its existing Gurdwara to a residential road on the outskirts of the city. 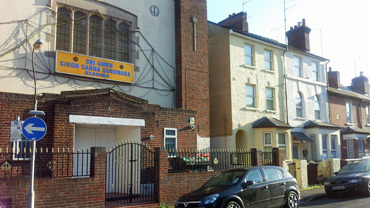 The proposed move involved redeveloping two semi-detached houses into a 2-storey temple. Members of the Sikh community and wider public coming to and leaving the temple. Such noise generating activities required environmental noise surveys and noise impact assessments to be included in the planning application for the new site. Assess noise levels from the cars and people arriving and leaving the temple throughout the day. Provided a report of the measured noise results and an assessment of the proposed development design from an acoustic and noise emission perspective. Planning permission for the new Gurdwara was ultimately not granted, with the Council raising concerns over the size of the building and the parking provision (among other factors).